Swedish black metal band SVARTSYN unveiled the second track off the upcoming full-length album entitled Black Testament. Listen to Revelation In The Waters, courtesy of Sweden Rock Magazine: http://www.swedenrock.com/index.cfm?pg=55&cobView=263. The album, recorded at Mortsella Studio, Sweden, drops on May 28 in Europe and June 11 in North America on Agonia Records. Tracks from Black Testament currently featured on The Welding Room radio program. 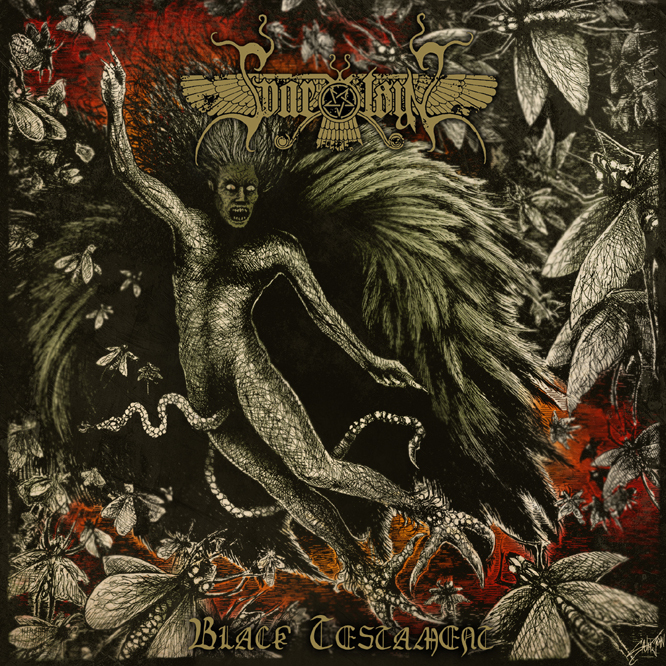 Black Testament consists of 7 original tracks + intro; it will be available on CD, LP and digital. First 100 LP copies available on a coloured vinyl. Click here to listen to the previously unveiled track, Demoness With Seven Names. This entry was posted in METAL and tagged Album, Black Metal, Black Testament, Compact Disc, Destruction of Man, Entertainment, LP record, Music, SVARTSYN, Sweden, Technology. Bookmark the permalink.